A federal junk food tax is both legal and feasible, according to a new study. In the United States, more than 36.5 percent of adults and roughly 20 percent of children ages 6 to 19 are obese, and obesity-related conditions such as heart disease, stroke, type 2 diabetes, and some types of cancer are among the leading causes of otherwise preventable deaths. This has led some public health and nutrition experts to suggest that the nation implement a tax on junk food to combat unhealthy eating. To that end, a team of researchers from the New York University (NYU) College of Global Public Health and the Friedman School of Nutrition Science and Policy at Tufts University set out to determine the legality and administrative feasibility of a federal junk food tax. The results of their research have now been published in the American Journal of Public Health. After looking at scientific and legal literature from both the U.S. and other nations, the team concluded that the most effective approach would be a federal-level excise tax on junk food manufacturers instead of consumers. “Our finding that a federal manufacturer excise junk food tax — defined through product category or combined category-nutrient approaches — appears to be legally and administratively feasible and has strong implications for nutrition policy,” study author Jennifer L. Pomeranz, a public health policy and management assistant professor at NYU, said in a press release. Taxing junk food is actually not that uncommon. The Economic Times counts eight countries, including Mexico and Japan, that have implemented some form of taxation specifically intended to help in the fight against obesity. 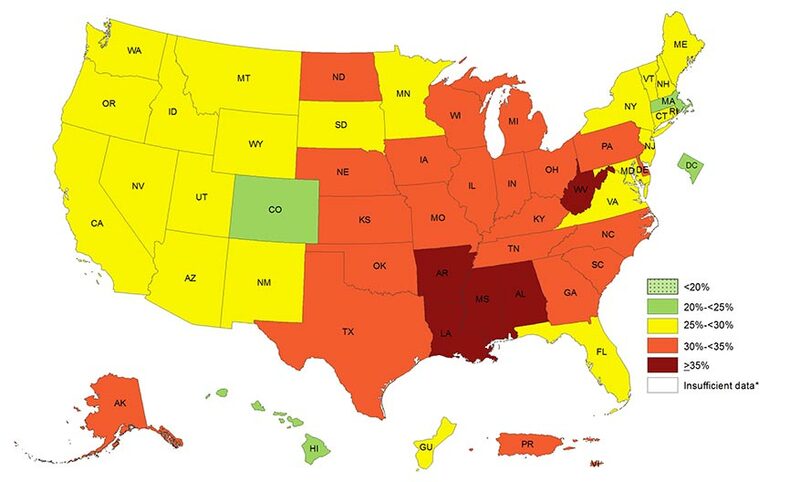 A number of states in the U.S. already have a junk food tax in effect. Experts agree, however, that the new study’s focus on a federal tax aimed at manufacturers would likely be most effective. Susan E. Horton, a health economics professor from the University of Waterloo School of Public Health and Health Systems, agrees with the idea, but thinks implementing it might be easier said than done in the U.S.
At any rate, both Gruber and Horton agree that a junk food tax could eventually lower obesity rates or at least slow down their increase. The first target, both noted, should be sugary sodas and other sugar-sweetened beverages. “Prioritizing is tough, but a clear place to start is sugary sodas. You want to focus on goods where there are clear substitutes that are a lot better for folks,” said Gruber. The obesity problem in the U.S. is about more than just physical health. Obese children are more likely than their normal weight peers to be bullied, experience depression, and have lower self-esteem. Obesity is also having a significant negative impact on the nation’s economy, with annual cost estimates exceeding $1.4 trillion. If a tax on junk food can effectively help the nation address this pervasive problem, it’s well worth considering.